After flipping through flashcards with all the colors of the rainbow and a few extras, we ventured outside for a spirited game of four corners in which the student calling the corners had to read the word and identify the color in order to get their classmates out. After breira we joined with one of the other daled classes for a game of “I’m sitting in a chair” with a twist. Instead of the usual sentence that is used for the game (I am sitting on a chair and calling on ___name__) we switched it to the colors of the rainbow in order (adom katom tzhaov yarok kahol sagol). 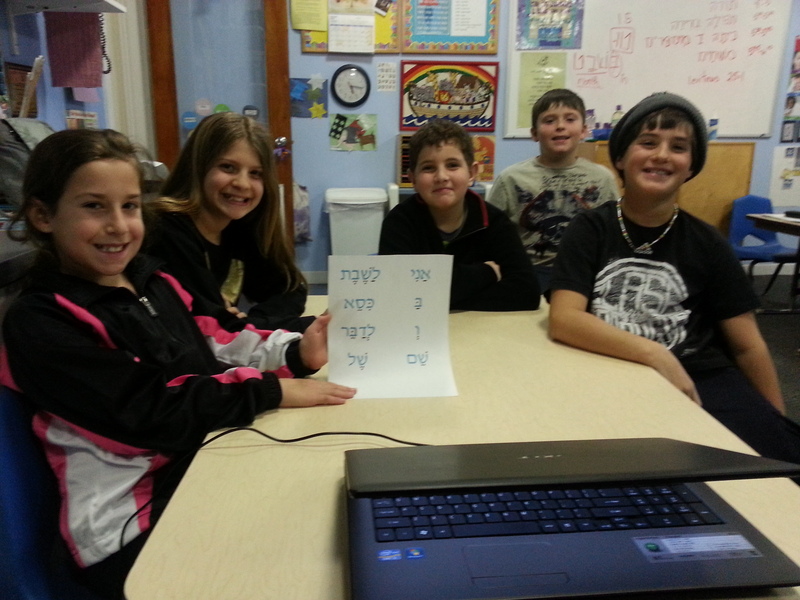 This was followed by a vegetable off between the two classes (a game where students have to do their best impression of a specific vegetable but in order to participate they had to correctly identify the color of the vegetable in hebrew. It was a productive, fun filled and colorful day.